Innovation & Technology Council: Artificial Intelligence: The Workforce of the Future? Join Bixel Exchange and the L.A. Area Chamber for a discussion on AI. The future is already here with the rapid advancement of artificial intelligence. What exactly is this technology and what possibilities and challenges will it bring to business? 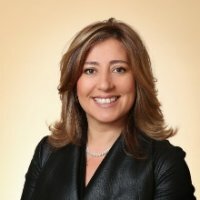 Join the first Innovation & Technology Council of the year to hear from Niloo Bedrood, managing director for Deloitte's Advisory Practice, and Audrey Wu, co-founder and CEO of CONVRG, as we explore this emerging technology, its impacts on the future of our workforce, and the policies that will need to change down the road.